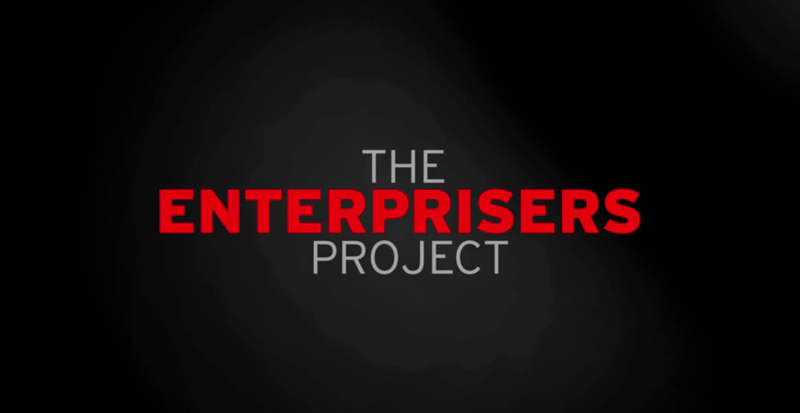 [The Enterprisers Project] How to improve the ways internal employees interacted with IT. Sometimes, such little things can considerably improve the efficiency. That is what we call an Enterprising moment. 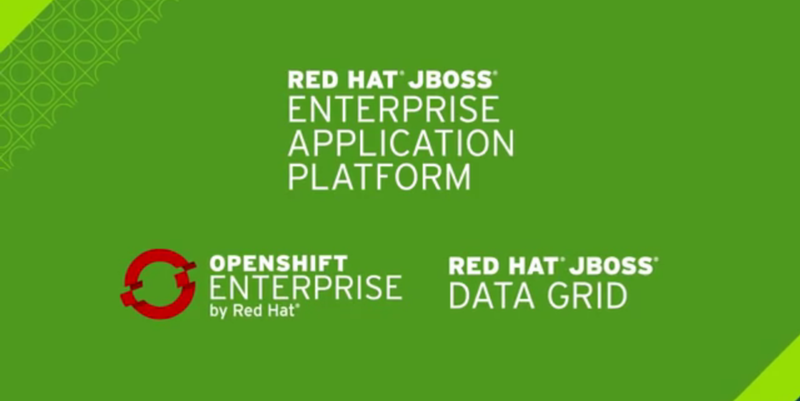 Have you ever wondered how to get started with the Red Hat JBoss Middleware products? Are you unsure where to begin? You like to receive information, but would prefer to work with the products on the spot? 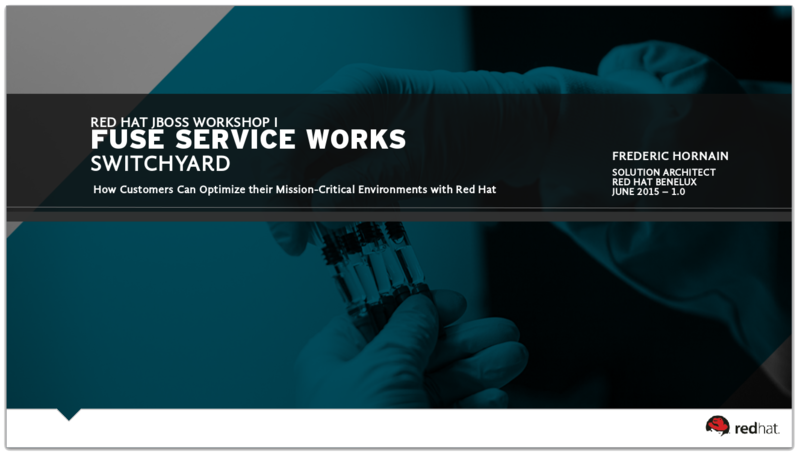 Join us for one of our free JBoss Hands on Labs, (formerly known as Red Hat in-house Hackathons). [Red Hat] Tried. Tested. Trusted. From the trading floor to air traffic control, industries around the world rely on Red Hat. 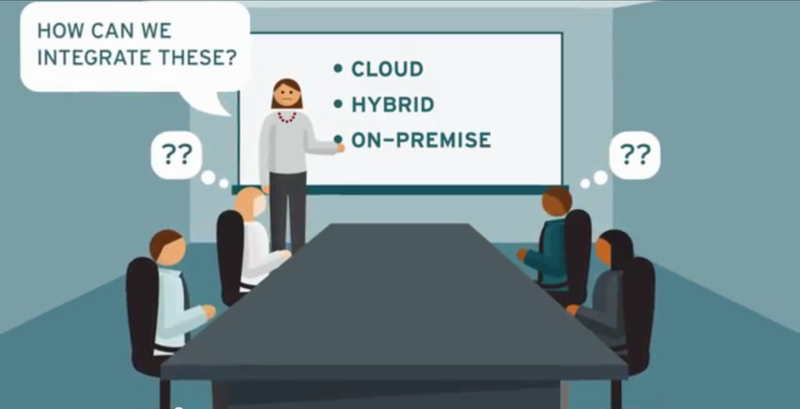 [I am an Enterpriser] How can CIOs who leverage relationships drive the business forward ? 100 % agree of what Lisa Davis, CIO of Georgetown University, explains in the following video about how the role of the CIO is changing. On my side, I would be really interested to better understand your needs, constraints and challenges. OK, this true that I work for Red Hat but I can guaranty you we will have an objective and neutral conversation. In today‘s fast-moving, demanding economy, organizations are using DevOps and bi-modal IT initiatives to compete and achieve the next level of developer productivity. They also seek complementary, flexible technologies that enable them to experiment, fail fast, and still deliver innovations on time. 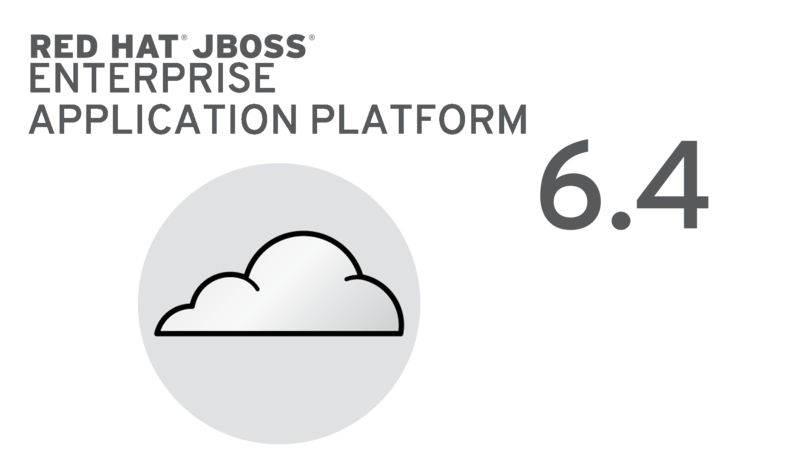 With new support for deploying a JBoss EAP subscription across multiple environments, customers can now better tailor their applications based on their individual business requirements. For example, JBoss EAP in traditional on-premise or virtualized environments and/or newly-renamed Red Hat JBoss Enterprise Application Platform for xPaaS* in OpenShift Enterprise. Enable developers to build real-time, rich client and mobile applications with reduced overhead and complexity. Red Hat JBoss Web Server (JWS) 3.0 is generally available. 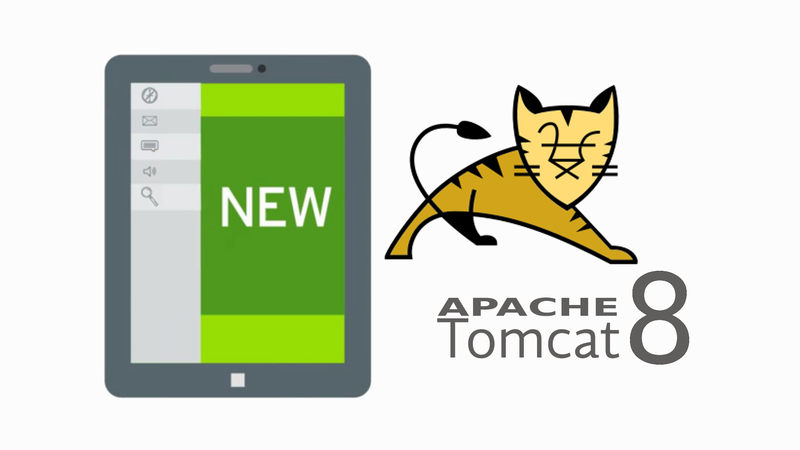 This major version release updates Apache httpd and the versions of Apache Tomcat to recent versions, including updates to all of the mod* extensions for httpd, and the version of Hibernate for the JWS Plus product. Support for WebSockets with Apache and Tomcat. Latest, most stable versions of open source developer tools bridge developer productivity and production stability. 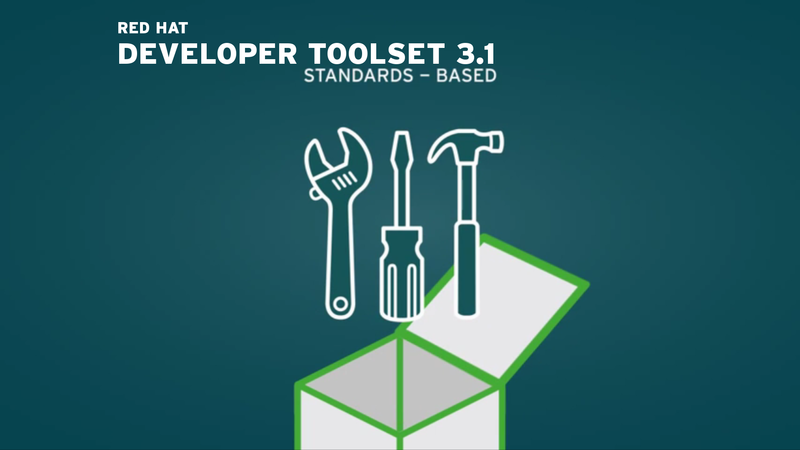 As with all versions of Red Hat Developer Toolset, Red Hat Developer Toolset 3.1 allows for the creation of applications compatible with both Red Hat Enterprise Linux 6 and Red Hat Enterprise Linux 7 across physical, virtual and cloud environments, including OpenShift, Red Hat’s award-winning Platform-as-a-Service (PaaS) offering. Additionally, these tools are delivered on a lifecycle separate from that of Red Hat Enterprise Linux, helping developers stay up-to-date with the latest innovations while retaining deployment stability. Do you want to build and deliver Java™ EE apps faster? Are your customers demanding more? What if you could develop new business critical Java EE applications using your existing skills and deliver them faster?